Email marketing remains one of the highest ROI activities that you can do in your business, especially if you’re good at it. To get the most out of email marketing you have to have a respectable open rate; here are 5 ways to do just that. If you have a big enough list and have been building your email list for any period of time, then you might already know that you have people on your list who are unresponsive. That means they don’t open emails, they don’t click on links, and they just ignore you. If you're finding that you have a really big list as a result of a very high opt-in rate, but after they opt-in they are not engaging, your offer may not be targeted enough to your audience. The two biggest problems with having these “hangers on” on your email list are that they increase the cost of your list because most email service providers charge by the subscriber and they make your entire listless deliverable. That’s because major email inboxes like Gmail will look at all those people who never open and figure you don’t have anything of value to send. It depends on your industry, but a good rule of thumb is to get anybody off your list to hasn’t opened an email or click the link in 60 to 90 days. Once you’ve identified the people you want to remove from your list because they haven’t clicked or opened anything in the last 60 or 90 days you want to send them through a “last chance” sequence. This is a series of emails that try to entice people to open or click one last time to get put back on your active list. Usually, that involves a discounter special offer of some sort. Once they’ve been through your “last chance” sequence of 3 to 4 emails, and haven’t reactivated, you’ll want to purge them from your list. 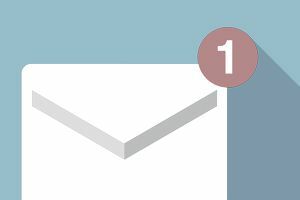 Once you have a clean list of responsive people, then it’s time to start getting the responsive list to open more emails. The fastest way to do this is to test your subject lines. Many email service providers allow you to send out a test email to 10 percent or 20 percent of your list with different email subject lines going to different people. Most of the time subject lines make a small difference, but sometimes they can make a dramatic difference in both open rates and earnings. It’s always worth testing. One of the most effective ways to make sure you're creating content that your subscribers want to read is to survey them. One of my favorite features about AWeber (the email marketing company that I use) is that they have in-email surveys. With more and more people reading the emails on mobile devices, it’s important to get them to take as much action within the emails possible rather than sending them to an outside site. Use one with your customers to find out what they actually want so that you can write emails that they want to open and read. Humans are wired for storytelling. For much of our history we didn’t have written language, and when we did it was only accessible by very wealthy people. This meant that traditions and history were passed down from generation to generation through stories. When you start with a story, it immediately gets people’s attention in the way that facts alone can’t. People like to interact with stories and telling stories will often make your email open rates go up. A lot of people seem to think that there’s some kind of magic formula for getting email open rates up, but that’s not true. Like most things in business email open rates are something you can improve through step-by-step action over time, and it’s well worth it, because a small improvement in open rates can lead to a whole lot more sales.